This Melannco Espresso Square Shelves, Set of 3 is currently selling for just $12.60 on Amazon.com! You will be saving 37% off the listed price of $20.00 with this home furnishings deal. 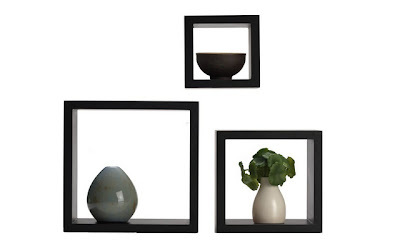 This set of shelves includes a 5", 7", and 9" square and offers many decorating possibilities. You could even hang more than one set together on a larger wall.